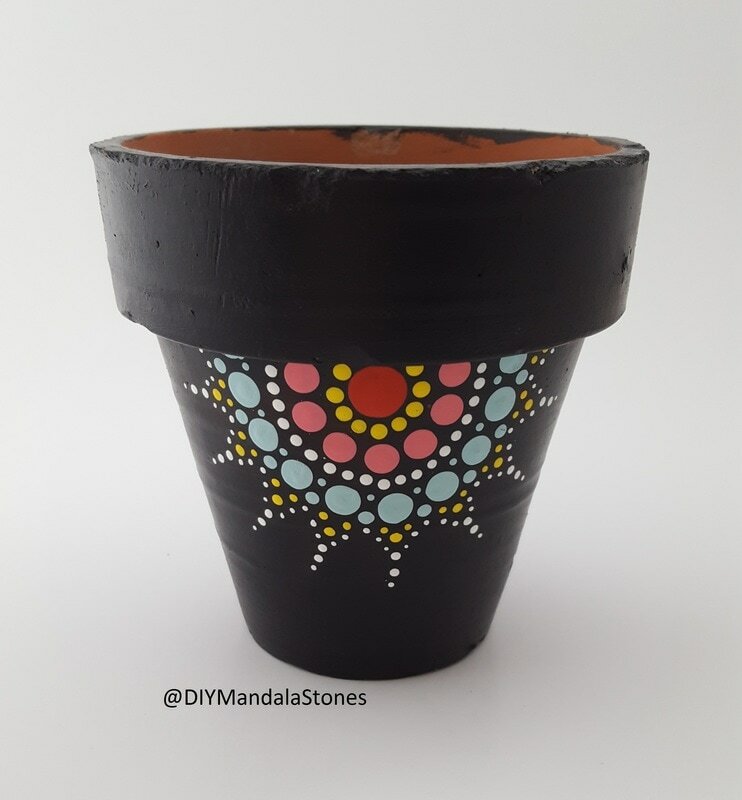 The Mandala Dotting Tools are made especially for beginners, and those with no art skills, to create PERFECT circles in different sizes with no brush, paint skills or experience needed. It is so easy. Just dip your tool into the paint and place it on the stone (or any other surface). The art of dotting, pointillism, or dotillism makes your mind slow down, as you concentrate on each dot. ​When your mind slows, your (sometimes hidden) creativity can take center stage. 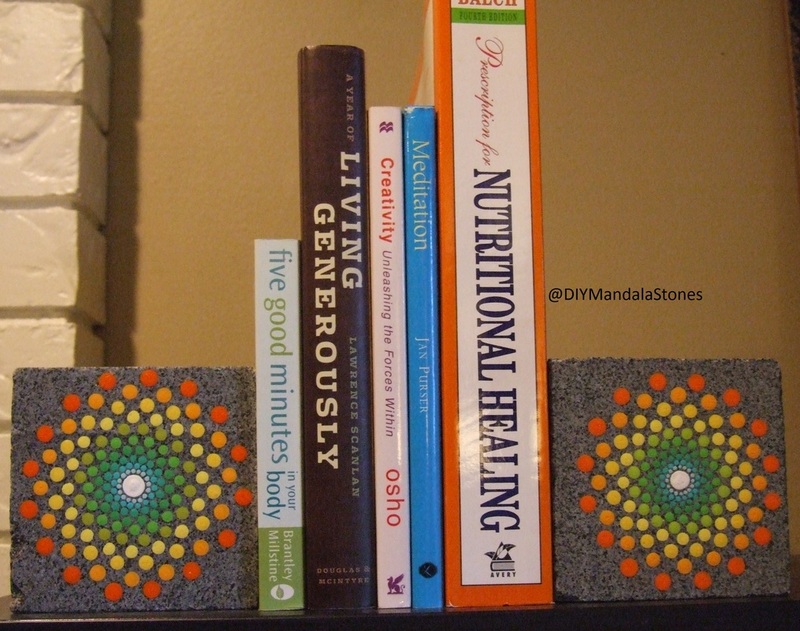 With the DIY Mandala Stones Kit, you can create pieces for the home, garden and for gifts for friends and family. 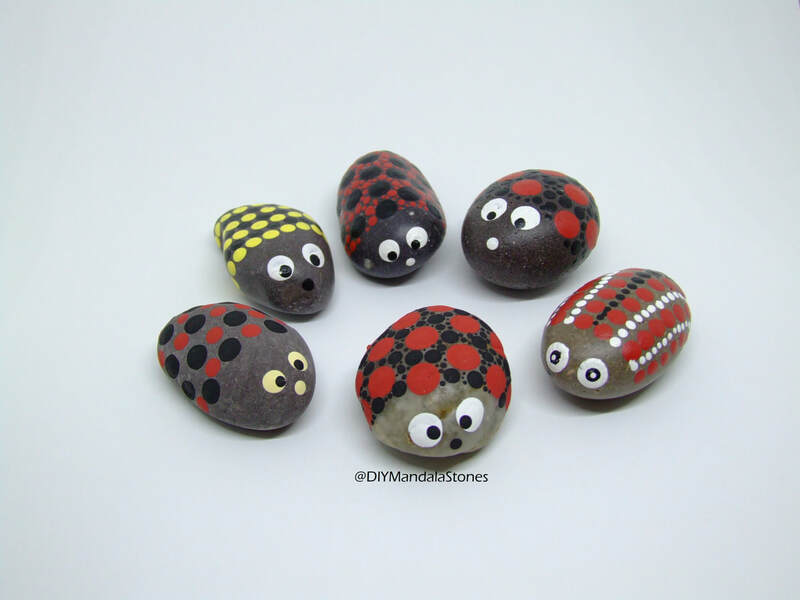 ​You can decorate rocks, canvases, ceramics - anything you can imagine. A 'mandala' is a term taking from Hinduism and Buddhism, that represents the universe. It also means circle and/or geometric designs, and these 'mandala' designs have occurred throughout history - Christian churches, Aztecs and even crop circles. The Mandala design has also fascinated psychologists throughout the years, linking your Mandala design to your self, ego and personality. The design of a Mandala usually has a central point, and the design gravitates outward in a geometric pattern. There is no beginning and there is no end, so no matter how you turn the pattern it always looks the same. The mandala design is a design that allows you to relax, mediate or pray, by making repetitive motions to relax the brain. You can link your Mandala design to your thoughts and feelings, if you really examine the details of the design, layout and colours. Each day is different and can produce different designs based on how you are feeling. What is the age recommendation? - 7 to 100 years. It depends on the children, but I recommend 7 and above, but I have seen some 4 year olds be amazing at it. You can adapt the process to include younger children. I have a tremor, can I use this? - As the connection between the surface and the tool is a fraction of a second, it can work better than a brush. Can people with arthritis use these tools? - It depends on the severity of your arthritis, but these tools are very light weight and easier to hold in the hand. I have no creativity and I am not an artist - This is a common statement I hear from adults. We often shut down creativity as we get older or we equate creativity to being an artist that can draw or paint. 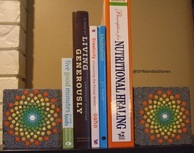 These Mandala Dotting Tools allow the hidden creativity to emerge be removing the need for skill or experience. How is it relaxing? - When we dot, we do not think about the last dot, and we do not think of the next dot, we only concentrate on the dot we are doing right now. This helps us bring our focus into the present. When we are focused on the present, that is when our minds can relax. How are these Mandala dotting tools different from other dotting tools? These tools are especially made for Mandala and dot art, by providing a large variety of gradual sizes. The flat ends create crisp perfect dots on the very first try, regardless of the amount of paint, pressure or experience. They are light in the hand, easy to clean are numbered so you can easily repeat your designs. Please read the reviews (scroll down) from users for why people love these tools! Got anymore questions - contact us! Ready to experience the most addictive and fun activity you have ever done? "If I can do it anyone can"
- Heather, a 32 year old female who claims she has no artistic ability. "I put them by my front door, and smile at them each time I leave the house"
"I have always wanted to play with paint but it scared me. This makes it easy for me"